Weather and agriculture are inextricably linked. 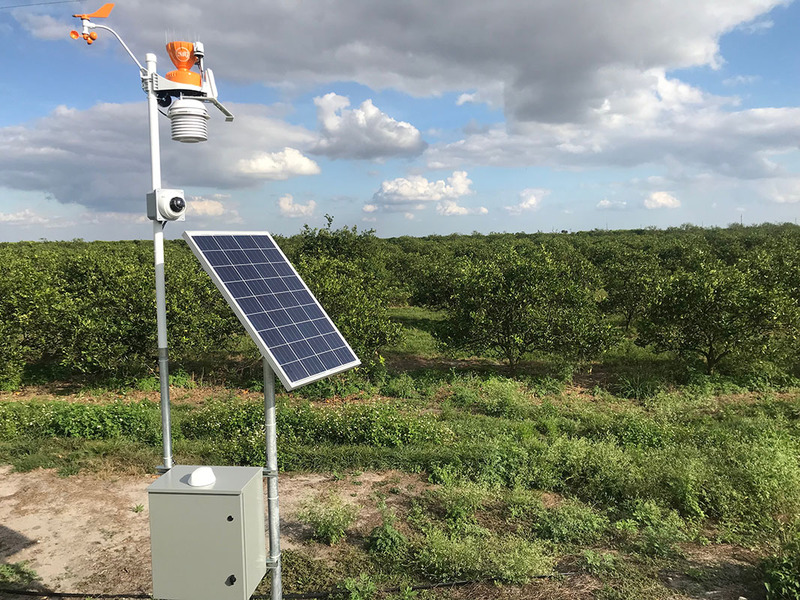 A WeatherSTEM unit for your farm will provide you with the latest technologies that will help you stay ahead of any weather that may negatively impact your crops and/or animals. 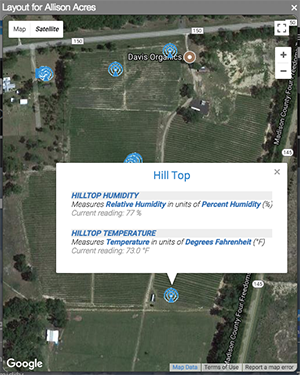 The WeatherSTEM platform also provides a host of analytic tools that let you analyze past, current, and future trends in rainfall, soil moisture, soil temperature, evaporative transpiration, and a host of other agriculturally-pertinent variables. 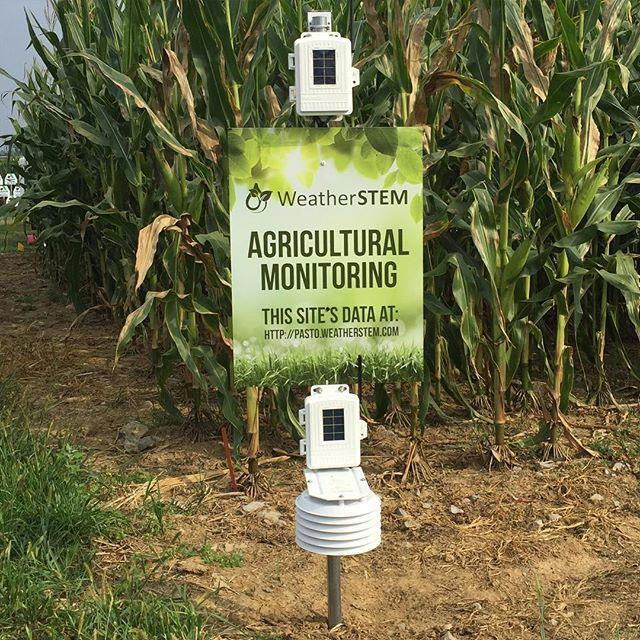 WeatherSTEM units can be equipped with soil temperature, soil moisture, leaf temperature, and leaf wetness probes. In addition, temperature and humidity measurements can be made in an unlimited number of interior and exterior locations. Even on a relatively small farm, temperatures can vary by 10 degrees or more from one spot on the farm to another and a miscalculation can result in thousands of dollars in crop losses. Soil monitoring probes can be placed in both irrigated and non-irrigated zones to help assess irrigation efficiency. Soil monitoring technologies are also useful in non-agricultural settings as soil measurements can be useful for purposes of fire weather prediction. Sensors can be distributed all across your farm efficiently and inexpensively. The image at left depicts a relatively small WeatherSTEM farm operation of about 40 acres with probes spread out across the operation. Slight variations in elevation, topography, and proximity to water can make the difference between your crops freezing or not. WeatherSTEM will canvas your farm with all the sensors you need to stay well ahead of any conditions that could compromise your earnings. Your farm may be in an area that doesn't have reliable Internet or electricity. WeatherSTEM units can be 100% powered by the sun and connected to the Internet via cellular or even satellite connectivity. 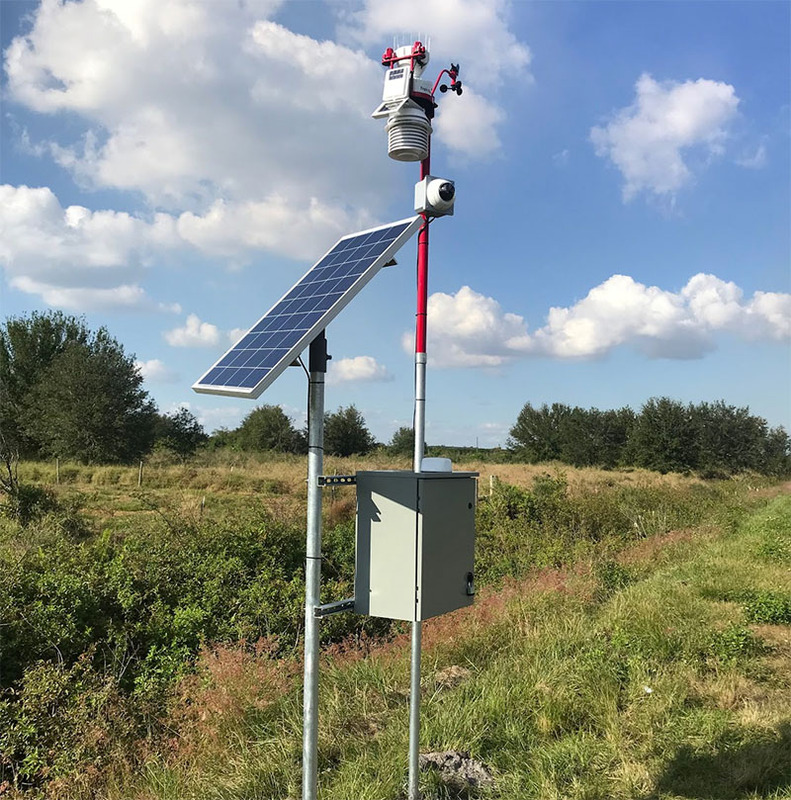 A solar-powered, cellular WeatherSTEM unit can offer more reliability than a system connected to traditional power/Internet as they will stay online even during episodes of severe weather. Our weather cameras can be used for more than observing the weather. 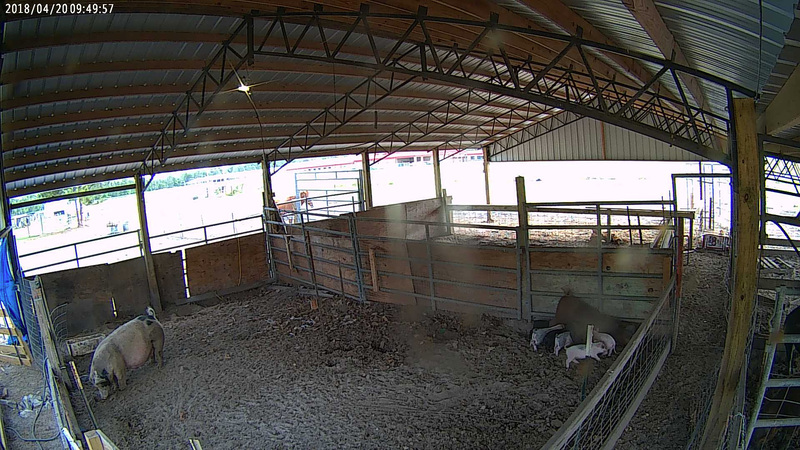 Remotely monitoring your animals and their behavior is easy and affordable with WeatherSTEM. We can implement low power, high resolution cameras that can monitor your animals. If there isn't a readily available Internet connection or wi-fi, we can connect the cameras to the Internet via cellular and/or satellite technologies. You can attach an alert to any probe that is part of your WeatherSTEM unit including soil monitoring probes. 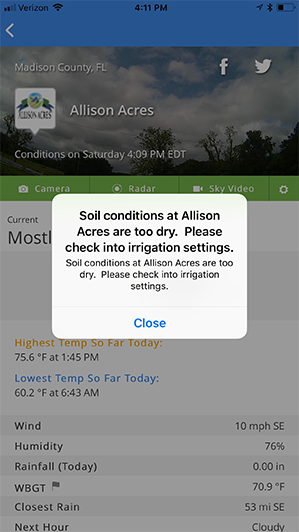 Configuring notifications on your phone when soil conditions are too dry is accomplished in minutes. Notifications can even be configured based on what is expected, for instance, you can receive frost advisories up to 15 days in advance of a potential frost event. WeatherSTEM works for you, and reaches out to you when there is a weather-related situation that could adversely impact your operations. WeatherSTEM can also be easily configured with existing infrastructure on your farm including irrigation, HVAC, and feed management equipment.